A college’s location can really matter. If you plan on living on campus, you’ll want to consider these tips on choosing a college location. Are you a comfortable urban dweller or are you more relaxed in a country setting? Is year-round sunshine a must, or will you be packing your skis for the slopes? Perhaps you will need public transportation, or maybe you will have a dependable vehicle. If you grew up in Southern California, is a University in Minnesota a good idea? College is both an education and a journey, so you will need to consider what type of location you hope to experience when exploring college choices. Rural college campuses are often located near, but not often directly in, small towns of under 25,000. They are generally self-contained with a strong community feel. Rural colleges often have programs in environmental sciences, forestry, and agriculture studies. Most activities are on campus. It can be argued that rural colleges have more activities on campus than any other setting, due to the isolation. One possible drawback of a rural campus is that there may not be many part-time/ summer or internship opportunities available in the immediate area. However, that may leave you more open to the possibility of traveling somewhere new (and exciting) for a summer job opportunity or summer internship. Additionally, there are often fewer off-campus living arrangements available. Another thing to keep in mind is the transportation situation at rural colleges. If you don’t have a vehicle, it may be difficult for you to get off the campus. Some students may feel a little bit claustrophobic at times, while others revel in the country atmosphere. While many schools do provide busing or basic transportation systems, it’s much less convenient to get around without a car at a rural college. If you don’t have a car, you will probably end up knowing someone with one, so it may not be a huge issue, but it’s one to think about. These colleges are in mid-sized cities, large “college towns”, or suburbs of large cities. They generally combine the best features of rural and urban settings. There are more off-campus living arraignments, entertainment and employment opportunities. Public transportation may be available, in addition to the college transportation options. Suburban college campuses tend to be self-contained in many of the ways found in rural colleges, fostering a sense of community. However, students at suburban colleges will find more options for activities off-campus in the surrounding area. Suburban campuses often provide outdoor activities similar to those found at rural colleges and urban entertainment options such as the museums, concerts, and other off campus activities. In many cases, suburban colleges have very strong ties to the towns in which they are located. This can provide you with more employment and internship opportunities. Local transportation is often provided to students for easy access to activities in the area, but it may be less directly accessible than at urban schools. It can be useful to have a car at a suburban college, but it’s usually not a necessary requirement for getting off campus now and then. Sometimes colleges are spread throughout a city while others are self-contained within a city. 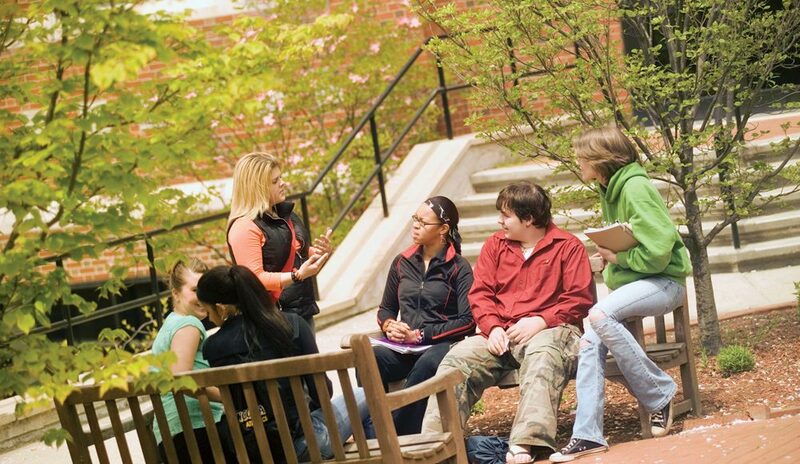 Urban colleges tend to attract culturally diverse students. Students can easily find entertainment options on and off campus. There are generally strong public transportation options available. Urban college campuses are extremely variable depending on the city they are located in. The campus layouts can be mostly self-contained, while others have facilities spread throughout the city. When the campus is spread out, the college will often offer specialized public transportation shuttles for students or provides students with passes to use on the city’s public transportation systems. In many cases, urban campuses will offer more off-campus learning opportunities in the form of internships/ classes that allow students to interact with the community surrounding the campus. Since urban campuses have such a close proximity to company headquarters and job opportunities, they can be great places to start your internship search, and get a head start career-wise. While some schools don’t allow freshmen to have cars on campus, urban schools where parking is at a premium are the one most likely to have this policy, even beyond the freshman year. If having a vehicle is a must, be sure to check the school’s policies. One of the first steps in finding the right college for you is deciding what type of campus setting you prefer. Rural, suburban and urban campuses all have different advantages/ drawbacks. The key is to find which setting allows you to make the very most of your college experience.